Is your pontoon showing some age? Do you need some serious updates? Then, it is time for a pontoon face lift! Often as our pontoon ages, it starts showing signs of wear on the flooring and furniture. Luckily, you can easily redo your flooring and furniture with our help. The first thing you will want to do is decide on what pieces and materials you will need to complete your task. Let me share a few tips and products for you that we highly recommend. The first item we suggest when replacing your flooring would be the Tuff Coat Primer. We do offer several different primers, each primer being ideal for a different type of surface. So, it is very important you select the correct primer for the type of surface you have. The Tuff Coat Water Based Epoxy Primer Kit is best used for surfaces like wood, concrete, fiberglass and painted surfaces. It is very easy to apply with the Tuff Coat Roller. If you have an aluminum or metal surface, you would need to use the Tuff Coat Water-Based Metal Primer. This primer is a water-based, corrosion inhibiting application that can easily be applied with any paint brush, sprayer or standard roller. **Primer is necessary to allow for the best bond between your deck and Tuff Coat Rubberized Decking. 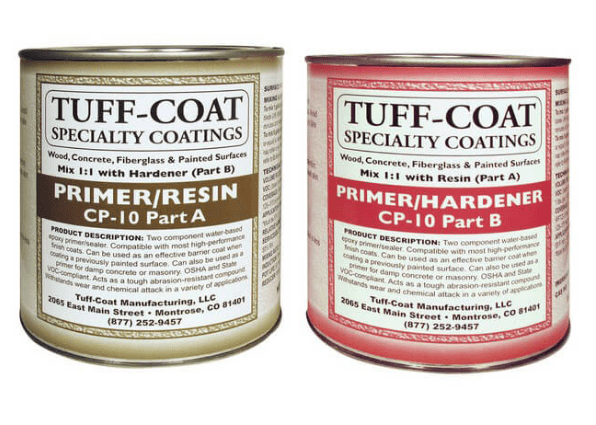 Once you have primed your surface with the Tuff Coat primer, we would suggest the use of Tuff Coat UT100- Standard Rubberized Deck Coating. 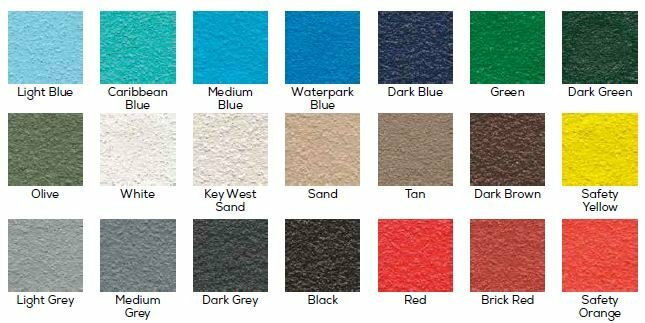 You can select from 21 different color options, creating a highly durable, long lasting non-slip surface that is UV and impact resistant. The coating is a water based acrylic / Urethane that is easy to apply with the use of a Tuff Coat Roller, brush or sprayer. It will dry to a clear, durable finish. You can use the Tuff Coat Rubberized decking on more than just your pontoon or boat floor. It is also good for pool decks, splash pads, pool house floors, water parks or any surface you need to be skid-resistant. Luxury Woven Vinyl made by Infinity Fabrics. This vinyl is superior to carpet in both stain and mildew resistance and in stress-free maintenance and cleaning. This flooring is available in a seamless 8’6” width with a 34 mil thickness and carries a 10 year warranty. Choose from many different textures and finishes. Designed for all types of watercraft, MariDeck Flooring is an attractive but durable alternative to marine carpet. Featuring a slip-resistant textured surface, UV resistance and moisture barriers. This flooring can be installed on any surface making it ideal for all boats, from pontoons to fishing boats. Available in a variety of sizes, colors and thicknesses. Each option carries a 2 year warranty. Known for their quality and commitment to detail, we are proud to offer Syntec exterior marine carpets to our customers. 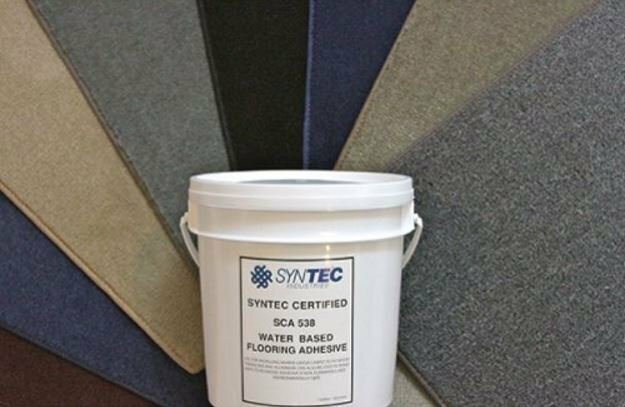 Syntec Marine Carpet is available in three different styles which provides a wide range of colors, weights and sizes and carries a three year warranty. Each material is made from 100% UV stable Performance Enhanced Polypropylene and finished with Grey TuftLoc backing for endurance. Whether you have a pontoon, sport boat or deck boat the Syntec Marine Carpet is guaranteed to improve the look and lifetime of your boat! 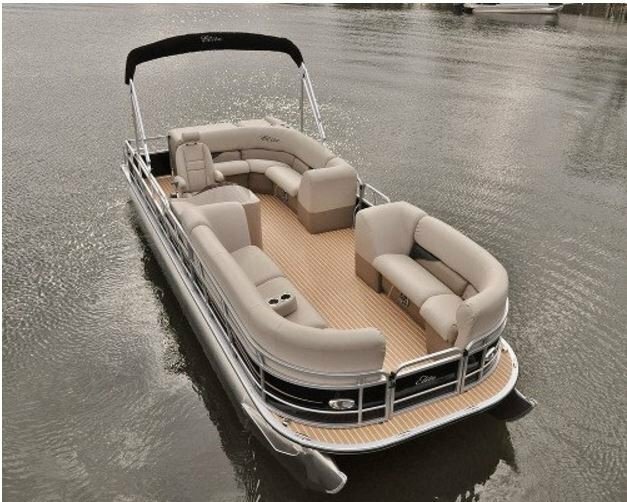 Now that you have completed your pontoon boat flooring, it is time to add the furniture! If your pontoon boat seats are beyond cleaning, we offer 3 different series of Wise pontoon furniture, Deluxe, Talon and Premier. Each series is made with a high quality vinyl material and sturdy molded plastic bases. Each series has it’s own color and pattern options to choose from. We have everything you need from complete groups to individual pieces. If you can’t find the right furniture group for your pontoon, then give us a call at 1-866-626-8377. We would be happy to assist you in putting together the right group or pieces you need. WOW! 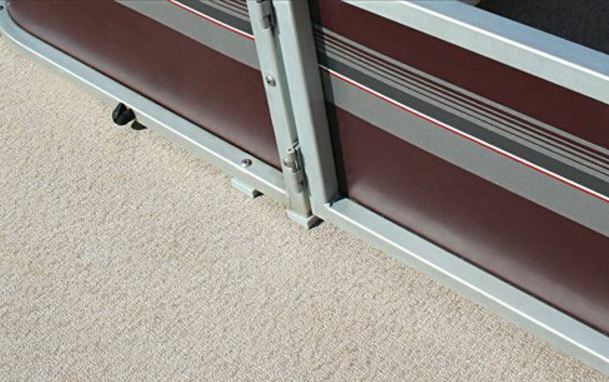 You now have new flooring and furniture in your pontoon, and it looks great, but there is no need to stop there! Don’t let the sun take away from the enjoyment of the new renovations you have made. Get you a nice Bimini Top or PWR/ARM II so you can relax in the cool shade while cruising down the lake. You can get a stylish Bimini Top to match in the 8,9, or 10 foot lengths. If you have a pontoon that is 22’ or longer, you could even go with a double Bimini Top, giving you 16 feet of continuous shade to chill in. But why not get just a little more relaxed and spoil yourself with the Automatic PWR/ARM II? The PWR/ARM II is an automatic Bimini Top that comes in a 10’ length. This top also comes with a remote control option, so you don’t ever have to leave your seat to let the top up or down! Keep that pontoon boat looking great for years to come. Invest in a quality made Carver pontoon cover. The renovations are now complete, and you are in love with the outcome!The pontoon looks great, and all your friends are talking about what a great job you have done. You are bursting with pride! Don’t let the wonderful job you have done get ruined from the elements. Keep the sun, rain, dust and unwanted pests out of your pontoon. A Carver pontoon cover will help to prevent premature sun damage, while keeping all the bird droppings, and other unwanted debris off of your new renovation. Check out our website at boatcoversdirect.com for all your pontoon renovation needs! 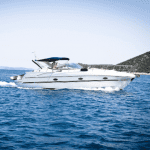 Previous: You may ask yourself, why would I need a Bimini Top on my boat or pontoon?